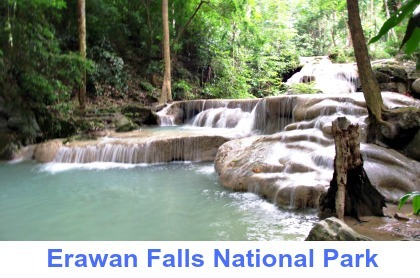 The Tiger Temple in Kanchanaburi, Thailand is also known as Wat Pha Luangta Bua Yannasampanno Forest Monastery. 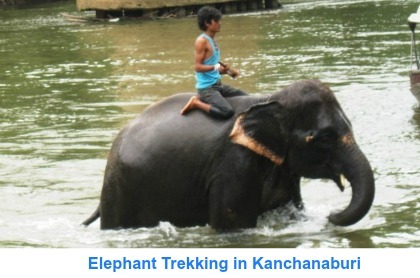 This monastery is a popular tourist attraction that is located about 40km from Kanchanaburi in western Thailand. 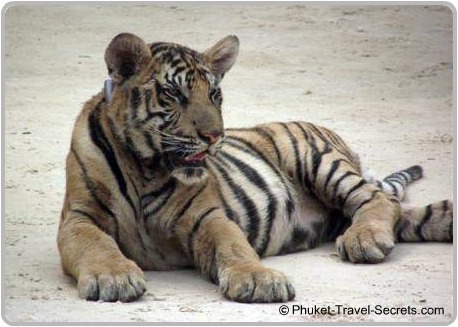 As an avid lover of animals a visit to the Tiger Temple was on the top of our daughters wish list, of things to do during our last family vacation to Thailand. 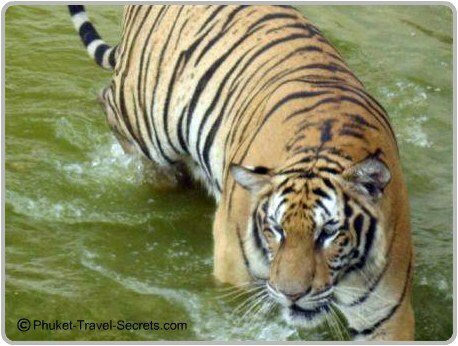 However, after reading many mixed reviews from other travelers on TripAdvisor about the Temple we were rather skeptical about going as some of the reviews said that the tigers are mistreated and possibly drugged. 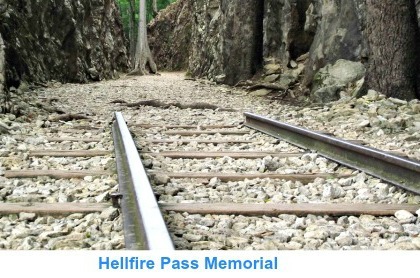 Our initial plans were to take a day trip from Bangkok to visit both the Tiger Temple and Hellfire Pass. 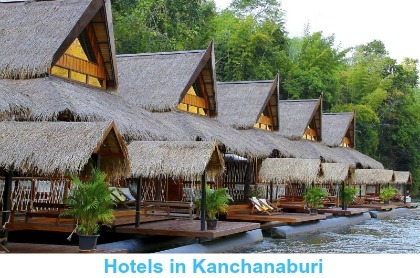 However, after researching the area and still feeling unsure about going to the Tiger Temple we decided that we would stay a few days in Kanchanaburi to explore the other sights and attractions and ask the locals what their thoughts are of the Temple before going. 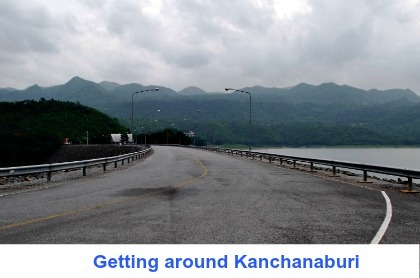 After spending a couple of days in Kanchanaburi and talking to the locals about the tigers and the Temple we were informed that it was not what we thought it to be! “A sanctuary for tigers and tigers cubs rescued from poachers”. However as our daughter had her heart set on seeing the tigers we decided it would be a good opportunity to go and see for ourselves. The entrance fee to the Tiger Temple is 600 baht per person which allows you to see the tigers in the canyon and to have photos taken with each of the tigers one by one. For an extra 1000 baht, you can have a special photo taken with the tigers head resting in your lap and another fee if you want to feed the tiger cubs. At first the thought of sitting up close and personal with a tiger was somewhat of a daunting thought. 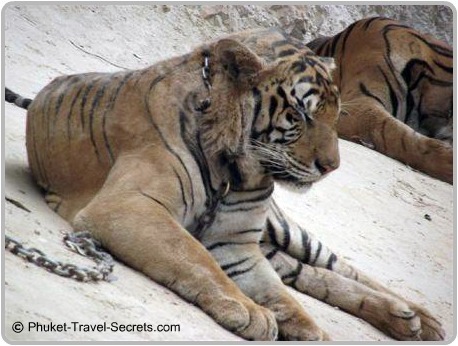 However as soon as we saw the tigers lying chained to the ground in the hot sun, of which most looked somewhat dazed and others fast asleep our fear soon turned to sorrow for the tigers. 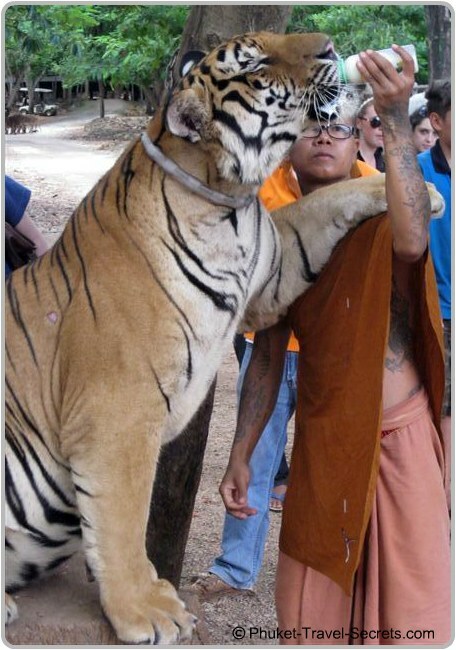 The Temple claims that its tigers are rescued from poachers and live freely and amongst the monks. From what we observed the Temple seems to be set up to please tourists. 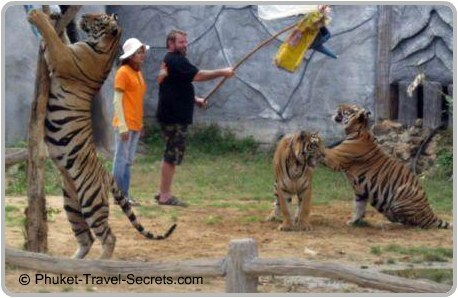 More like a petting zoo, then a sanctuary for the tigers. I am still undecided whether the tigers are sedated or if they are just docile from being raised and handled by humans, and not being able to live in their natural environment. At the same time we seen the docile, sleepy tigers in the canyon, other tigers were wide awake in an area were people can pay extra money to play with them in the water. This doesn’t make sense, from what we were told the tigers sleep in the afternoon after a morning of play and a belly full of food. 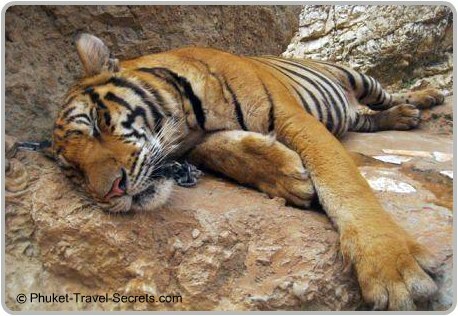 My concern is why do some of the tigers seem very docile and sleepy when others seem quiet playful. Do they not feed the ones that are playful, or do they sedate the ones that are to go into the canyon…. We are still unsure of the answer. 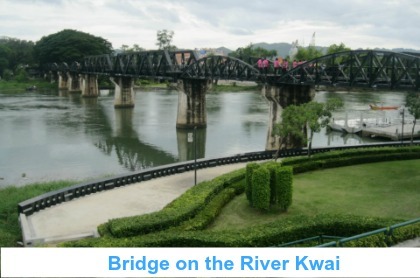 Sadly, what was quiet evident is that there are a lot of foreign volunteers that support this project. For anyone thinking about visiting the Tiger Temple in Kanchanaburi Thailand, I highly recommend that you do lots of research of your own before making your own informed decision about going. Would we contemplate revisiting the Tigers at this so called sanctuary ? The answer to that is simple…. No. 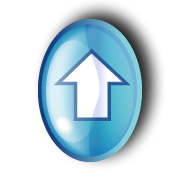 But this is only our personal experience and opinion, others may have had a totally different experience. We can see tigers at Dreamworld, a major tourist attraction on the Gold Coast in Australia. 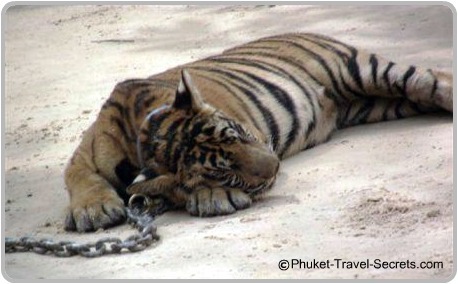 Where the tigers look so much happier, healthy and more content then the tigers at the Temple in Thailand. You are warned not to wear pink, red or orange clothing. For woman you will need to wear a sleeved shirt that covers your shoulders and long pants. I wore a green T shirt with capped sleeves that did cover my shoulders and the top of my arms, which I thought would be appropriate. However is was not until after we had purchased our tickets at the front gate to the Temple, that they kindly informed me that my sleeves on my shirt were to short and that I would have to purchase a T shirt from them before I could enter the Temple grounds. Funny, I was not the only person in this predicament….. This seems to be somewhat of a money spinner for the Tiger Temple, rather than a safety issue.